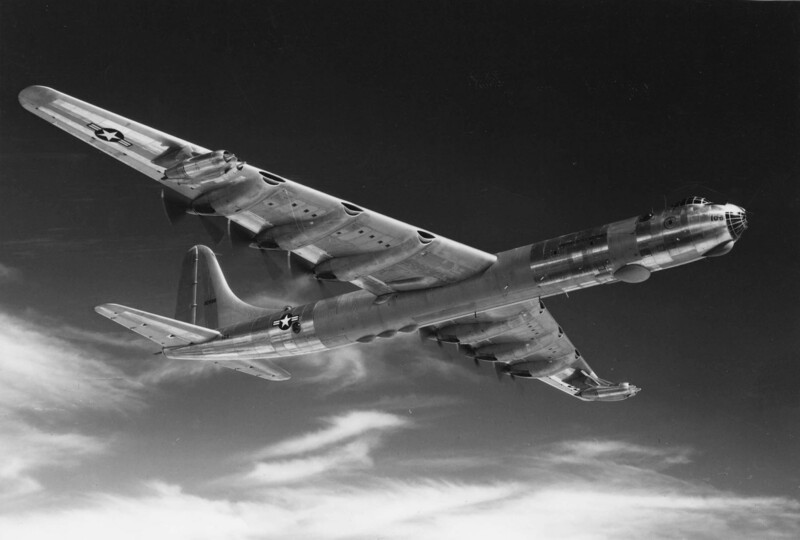 The Last Peacemaker: This gigantic airplane, a Convair B-36J-75-CF Peacemaker, serial number 52-2827, was the very last of the ten-engine strategic bombers built by the Convair Division of General Dynamics at Fort Worth, Texas. It was completed 1 July 1954. 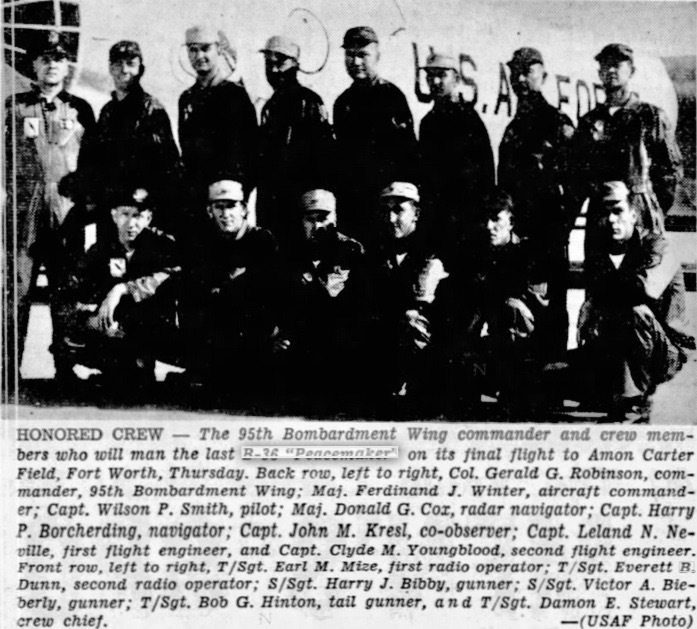 On 14 August, it was delivered to the Strategic Air Command, 92nd Bombardment Wing, Heavy, at Fairchild Air Force Base, Washington. 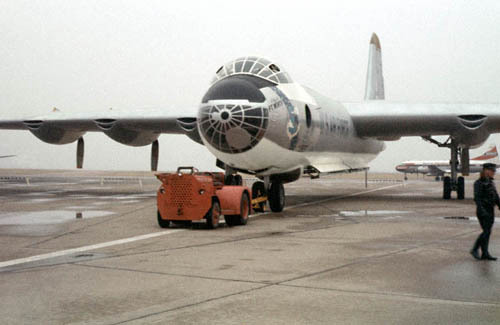 In April 1957, 52-2827 was assigned to the 95th Bombardment Wing, Heavy, at Biggs Air Force Base, El Paso, Texas. 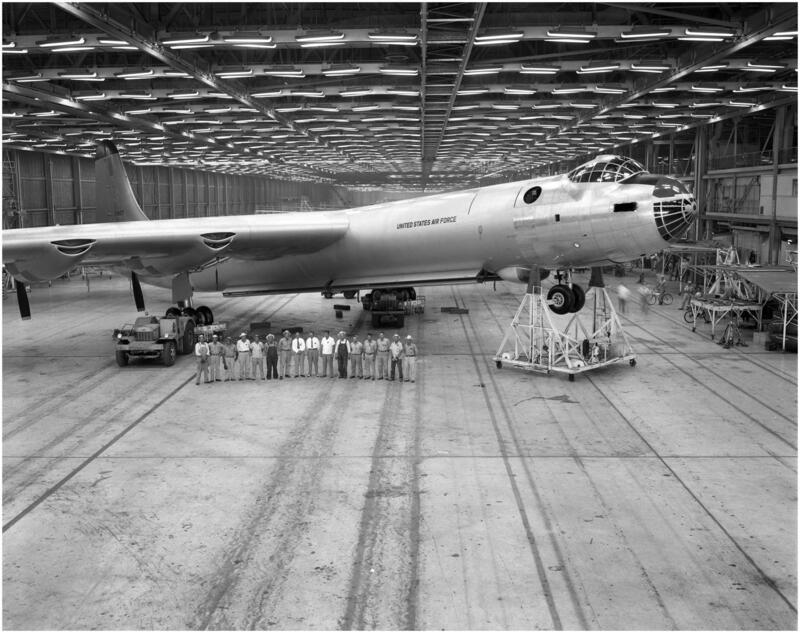 The last one built, 52-2827 was also the last operational B-36. 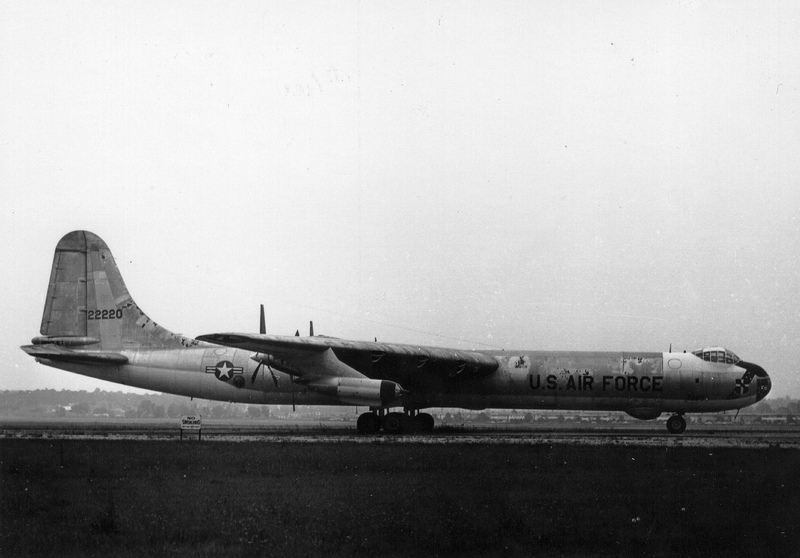 On 12 February 1959, after 4 years, 5 months, 30 days service, the Air Force returned the bomber to Fort Worth. 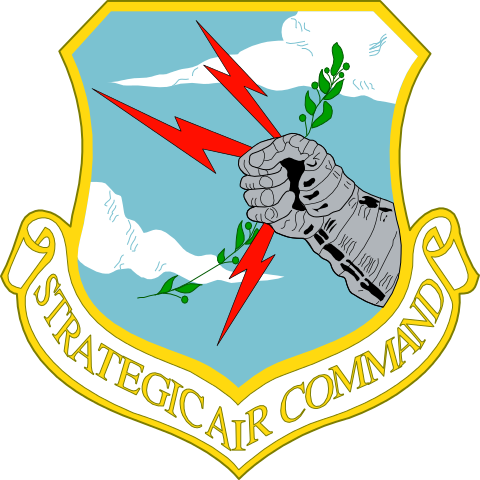 52-2827 departed Biggs Air Force Base at 11:00 a.m., under the command of Major Frederick J. Winter. 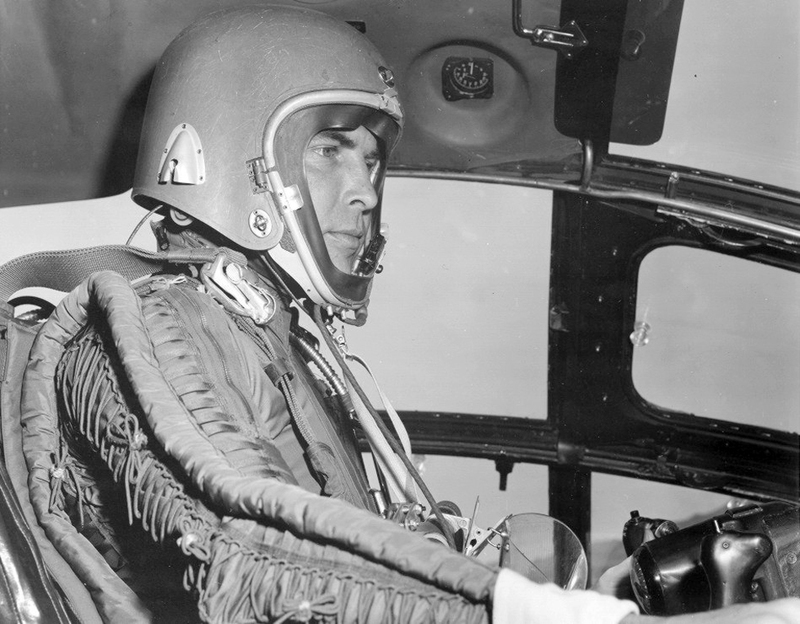 Other pilots were Colonel Gerald M. Robinson, commanding the 95th Wing, and Captain Wilson P. Smith. (Colonel Robinson flew as first pilot during the takeoff, while Major Winter flew the landing.) The bomber’s crew were hand-picked, and included two navigators, two flight engineers, an observer, two radio operators, two gunners and a crew chief. Ten newspaper, radio and television reporters were on board as well. The B-36 touched down at Amon Carter Field at 2:55 p.m. 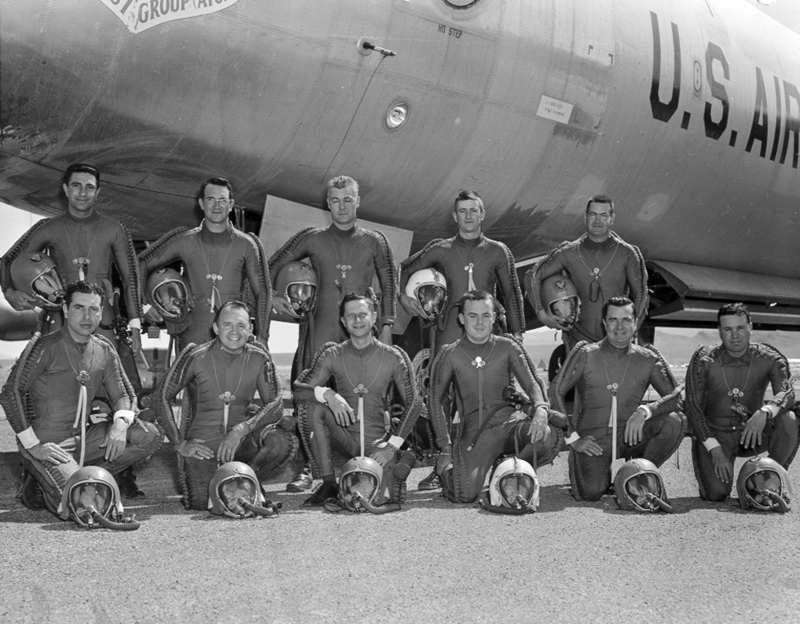 The Peacemaker’s log book was closed out with a total of 1,414 hours, 50 minutes, flight time. After a ceremony attended by thousands, the bomber was officially retired. A bugler blew “Taps,” and then the Peacemaker was towed away. It was put on display at Amon Carter Field. After decades of neglect, the bomber was placed in the care of the Pima Air and Space Museum at Tucson for restoration and display. Convair B-36J 52-2827 is one of 14 “Featherweight III” high altitude variants. It was built without the six retractable defensive gun turrets of the standard B-36, retaining only the two M24A1 20 mm autocannons in the tail. This reduced the crew requirement to 13. It is 162 feet, 1 inch (49.403 meters) long with a wingspan of 230 feet (70.104 meters) and overall height of 46 feet, 9 inches (14.249 meters). The empty weight is 166,125 pounds (75,353 kilograms) and loaded weight is 262,500 pounds (119,068 kilograms). 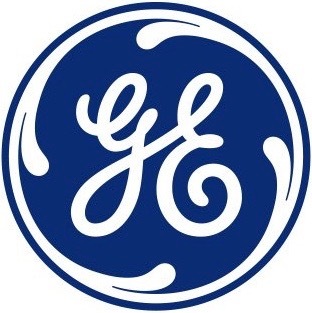 Maximum takeoff weight is 410,000 pounds (185,973 kilograms). The B-36J has ten engines. 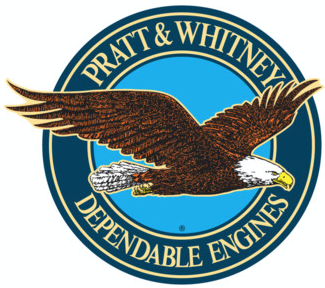 There are six air-cooled, supercharged 4,362.49 cubic-inch-displacement (71.488 liter) Pratt & Whitney Wasp Major C6 (R-4360-53) four-row, 28-cylinder radial engines placed inside the wings in a pusher configuration. These had a compression ratio of 6.7:1 and required 115/145 aviation gasoline. The R-4360-53 had a Normal Power rating of 2,800 horsepower at 2,600 r.p.m. Its Military Power rating was 3,500 horsepower at 2,800 r.p.m., and 3,800 horsepower at 2,800 r.p.m. with water injection—the same for Takeoff. The engines turned three-bladed Curtiss Electric constant-speed, reversible propellers with a diameter of 19 feet, 0 inches (5.791 meters) through a 0.375:1 gear reduction. The R-4360-53 is 9 feet, 9.00 inches (2.972 meters) long, 4 feet, 7.00 inches (1.397 meters) in diameter, and weighs 4,040 pounds (1,832.5 kilograms). The B-36J Featherweight III had a cruise speed of 230 miles per hour (370 kilometers per hour) and a maximum speed of 418 miles per hour (673 kilometers per hour). The service ceiling was 43,600 feet (13,289 meters) and its combat radius was 3,985 miles (6,413 kilometers). 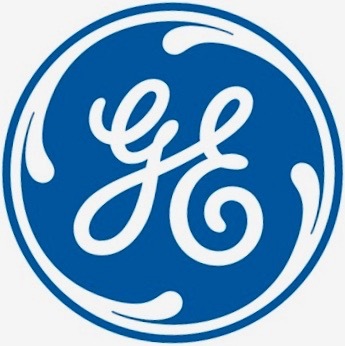 The maximum range was 10,000 miles (16,093 kilometers). 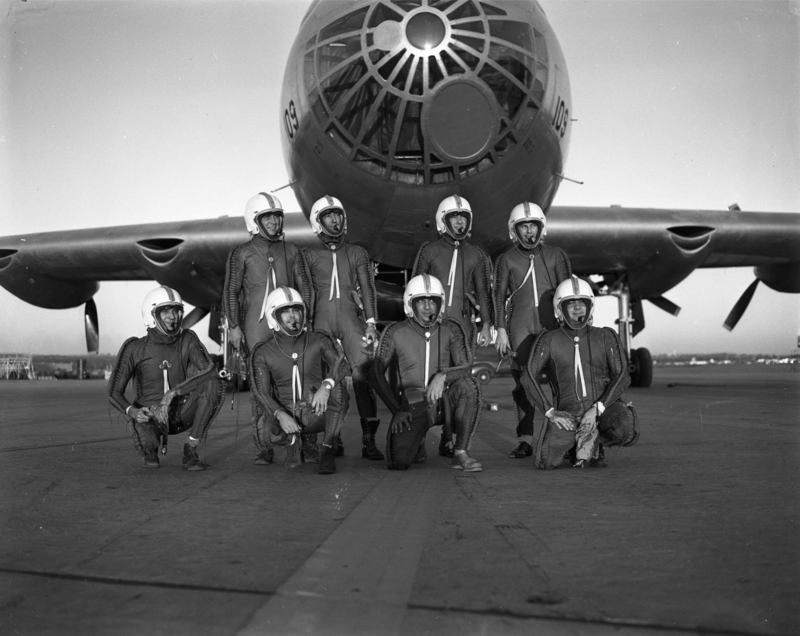 The B-36 was designed during World War II and nuclear weapons were unknown to the Consolidated-Vultee Aircraft Corporation engineers. The bomber was built to carry up to 86,000 pounds (39,009 kilograms) of conventional bombs in the four-section bomb bay. It could carry the 43,600 pound (19,777 kilogram) T-12 Cloudmaker, a conventional explosive earth-penetrating bomb. When armed with nuclear weapons, the B-36 could carry several Mk.15 3.8 megaton thermonuclear bombs. 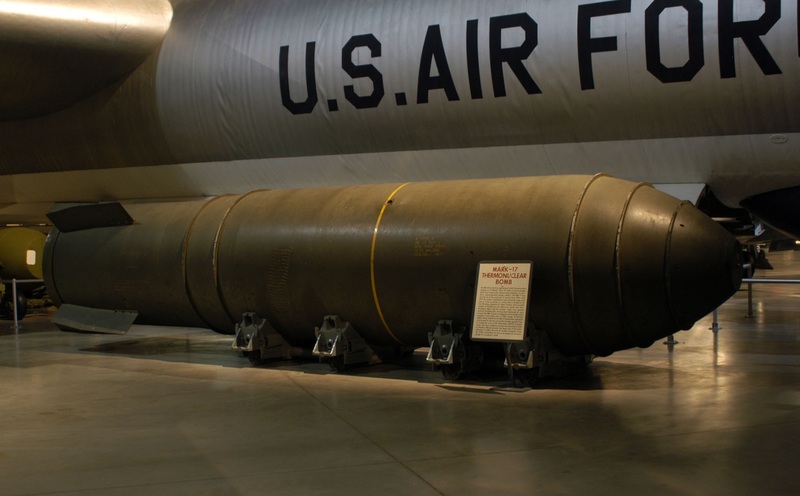 By combining the bomb bays, one Mk.17 15-megaton thermonuclear bomb could be carried. 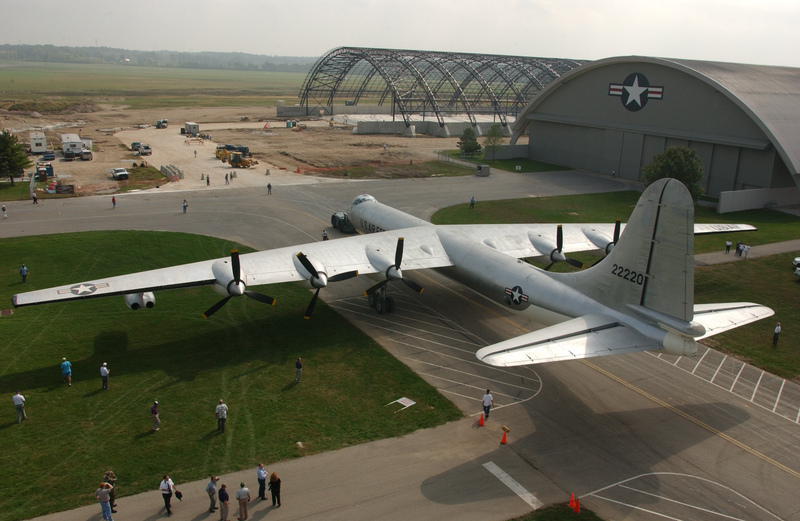 Between 1946 and 1954, 384 B-36 Peacemakers were built. They were never used in combat. Only four still exist. Convair B-36J-1-CF 52-2220 at NMUSAF, Wright-Patterson AFB, Ohio. 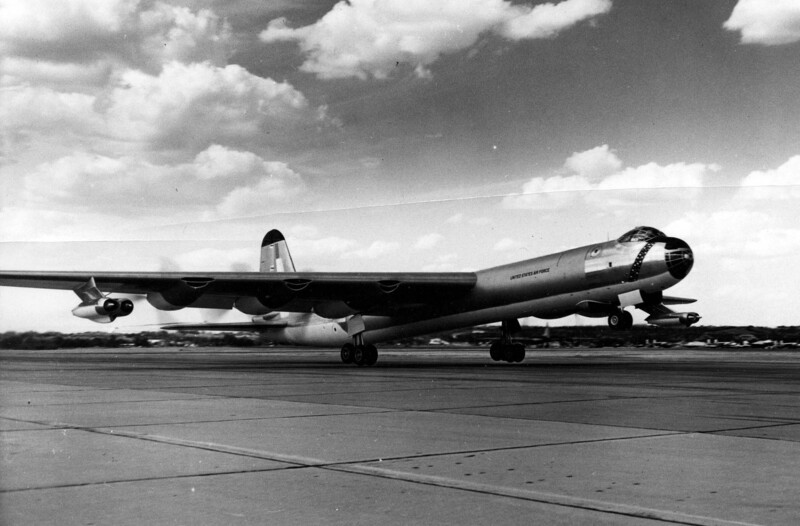 30 April 1959: Convair B-36J-1-CF Peacemaker, serial number 52-2220, landed at Wright-Patterson Air Force Base, Dayton, Ohio, completing the very last flight ever made by one of the giant Cold War-era bombers. It is on the collection of the National Museum of the United States Air Force. 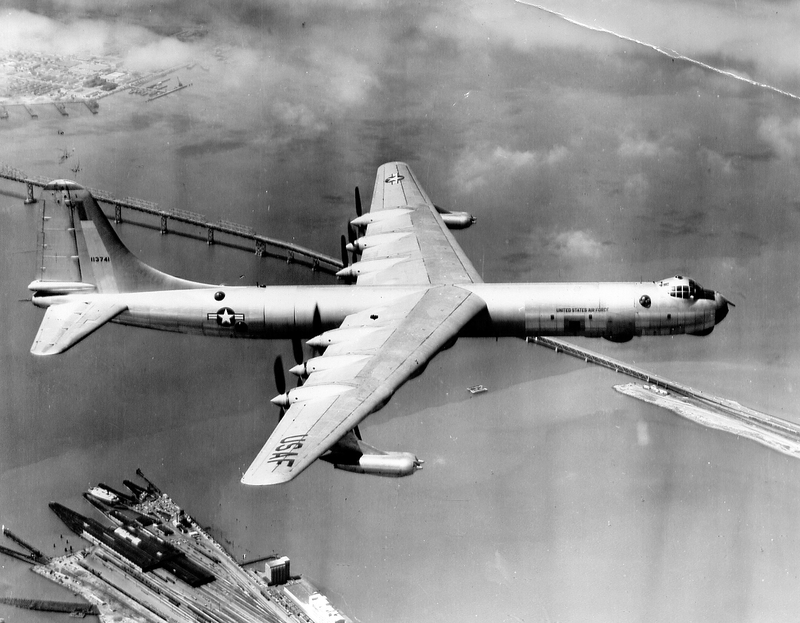 Convair B-36J 52-2220 was among the last group of 33 B-36 bombers built. It was operated by an aircraft commander/pilot, co-pilot, two navigators, bombardier, two flight engineers, two radio operators, two electronic countermeasures operators and five gunners, a total 16 crewmembers. Frequently a third pilot and other additional personnel were carried. The bomber is 162 feet, 1 inch (49.403 meters) long with a wingspan of 230 feet (70.104 meters) and overall height of 46 feet, 9 inches (14.249 meters). The empty weight is 171,035 pounds (77,580 kilograms) and combat weight is 266,100 pounds (120,700 kilograms). Maximum takeoff weight is 410,000 pounds (185,973 kilograms). The B-36J has ten engines. 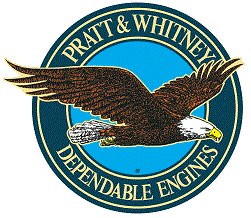 There are six air-cooled, supercharged 4,362.49 cubic-inch-displacement (71.49 liter) Pratt & Whitney Wasp Major C6 (R-4360-53) four-row, 28-cylinder radial engines placed inside the wings in a pusher configuration. These had a compression ratio of 6.7:1 and required 115/145 aviation gasoline. The R-4360-53 had a Normal Power rating of 2,800 horsepower at 2,600 r.p.m. Its Military Power rating was 3,500 horsepower at 2,800 r.p.m., and 3,800 horsepower at 2,800 r.p.m. with water injection—the same for Takeoff. The engines turned three-bladed Curtiss Electric constant-speed, reversible propellers with a diameter of 19 feet, 0 inches (5.791 meters) through a 0.375:1 gear reduction. The R-4360-53 is 9 feet, 9.00 inches (2.972 meters) long, 4 feet, 7.00 inches (1.397 meters) in diameter, and weighs 4,040 pounds (1,832.5 kilograms). The B-36J had a cruise speed of 203 miles per hour (327 kilometers per hour) and a maximum speed of 411 miles per hour (661 kilometers per hour) at 36,400 feet (11,905 meters) . 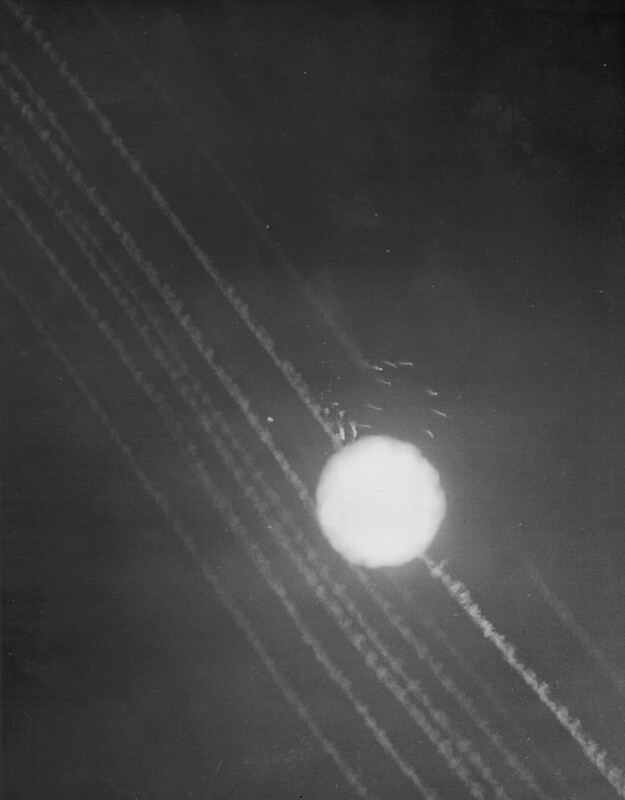 The service ceiling was 39,900 feet (12,162 meters) and its range was 6,800 miles (10,944 kilometers) with a 10,000 pound (4,536 kilogram) bomb load. The maximum range was 10,000 miles (16,093 kilometers). 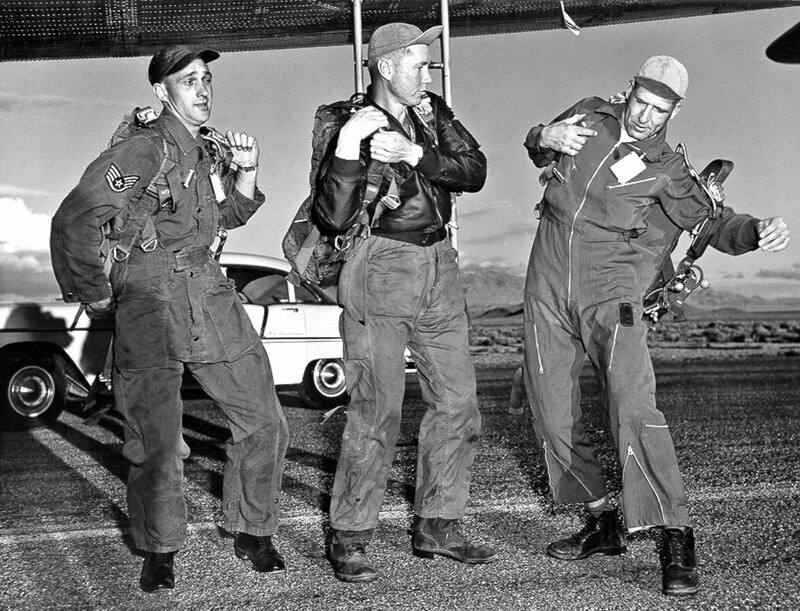 Designed during World War II, nuclear weapons were unknown to the Consolidated-Vultee engineers. The bomber was built to carry up to 86,000 pounds (39,009 kilograms) of conventional bombs in two bomb bays. It could carry the 43,600 pound (19,776.6 kilogram) T-12 Cloudmaker, a conventional explosive earth-penetrating bomb, or several Mk.15 thermonuclear bombs. 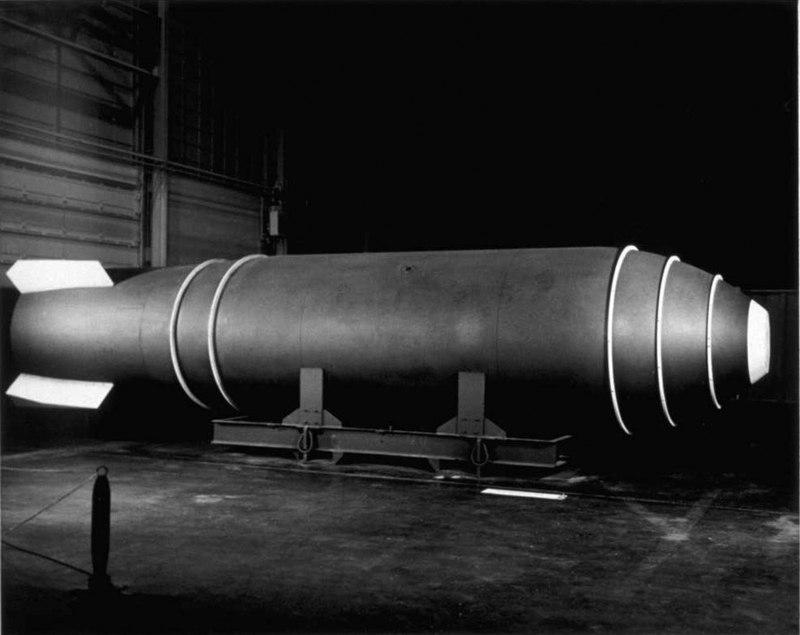 By combining the bomb bays, one Mk.17 25-megaton thermonuclear bomb could be carried. For defense, the B-36J had six retractable defensive gun turrets and gun turrets in the nose and tail. All 16 guns were remotely operated. Each position mounted two M24A1 20 mm autocannons. 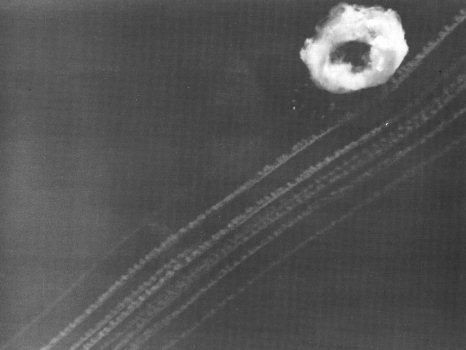 9,200 rounds of ammunition were carried.